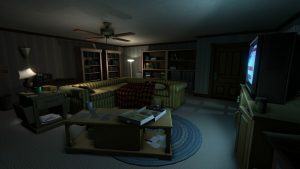 You may love it or hate it, but Gone Home is a testament to the enlightenment era that the game industry is going through at the moment. Every art has had to go through works that, although imperfect, have helped to make giant leaps in breaking the status quo. Gone Home is small, simple and flimsy at times, but it doesn’t take away from its powerful message. It’s hard to talk about it without spoiling it, so I very much recommend you give it a go before reading too much about it. The game starts as creepy (unless you’re a wimp and opt to turn all lights on from the start). Reminiscent of the many “survival horror” games currently coming out in masses. But it takes a courageous turn (artistically speaking). It’s not about the game mechanics themselves, which are somewhat novel but nothing groundbreaking, but the narrative itself. *SPOILER ALERT* As you delve deeper in this house full of secrets and mysteries, you realize what the major secret and mystery really is. The two principal stories, at least from my perspective, are the ghost story and the sister’s crush/lover. What makes the narrative so special is that you begin the game feeling really scared. You’re creeped out by what you can’t see, but what you don’t know about the house. You feel like a ghost may suddenly jump at you. But as you turn on lights in the house, you also light up the story, unfolding it and making it less scary. By the end of the game you discover how stupid it was to be scared from the beginning and realize there’s nothing to be fearful of – only now we’re not talking about the presumed “ghost”, but about your sister’s secret relationship. It’s a beautifully told story that sets unprecedented standards of what games are slowly becoming: a means of expression. Or in other words, and art.